Born The Hague 10/4/1885; died 1989 Dutch architect and graphic designer Hendrikus Wijdeveld was an important force in the creation of Dutch modernist design. As an architect, he was a member of the expressionist movement that opposed the De Stijl group. As a graphic designer, he founded and edited the innovative Dutch periodical Wendingen (published between 1918 and 1931), for which he designed most of the covers and layouts. 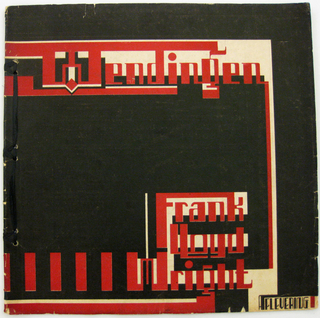 Cooper-Hewitt’s library holds many issues of Wendingen. 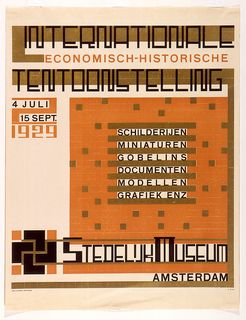 Wijdeveld’s characteristic bold, decorative, block-like typeforms and ornamental borders, which became known as the “Wendingen style,” influenced Dutch graphic design well into the 1940s. Wijdeveld also designed... more. We have 6 objects that Hendrikus Theodorus Wijdeveld has been involved with.